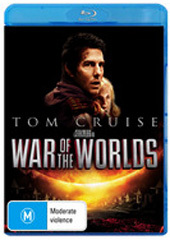 War of the Worlds is another re-visioning of a classic story and in actual fact, they managed to successfully re-imagine H.G. Wells classic novel of the same name without creating too much of a Hollywood spin on it. Originally written in a time when mankind wondered what was beyond the stars and if other beings existed or would they be good or evil, H.G. Wells masterfully captured the essence of this time. Like the original story, Martians have invaded Earth and as humans are rounded up like cattle, Earth is slowly being transformed into a hospitality planet for these invaders. It will never make you look at tripods the same! Spielberg embraces the fear of the United States, especially in this age of terrorism where no-one is really safe and rather than an in your face alien invasion movie, it’s the build up of terror that makes War of the Worlds so successful. The main protagonist of the film is Ray (Tom Cruise), a recently divorced man who is attempting to move on with life, however the baggage of why his marriage failed still haunts him. With two children, Rachel (Dakota Fanning) and Robbie (Justin Chatwin), these are the two most important things in his life, however displaying his emotions and protection as a father is difficult for him. Robbie however is quite resentful towards his father and when the aliens commence their attack, he finds the courage to let his son go while he does everything in his power to protect his daughter and become the father figure he could never achieve in society. It may not be one of the Spielberg’s best movies, however Tom Cruise is a delight to watch as the entire world unravels before him. As opposed to the original story, Ray is the link to the viewer due to his down to Earth nature and when those giant spider like aliens crawl across the fields, it’s quite eerie to watch and does at times parallel 9/11. Unlike traditional alien movies, War of Worlds is more about the psychological scare and elements of the thriller genre which works quite well and once again still pays homage to H.G. Welles masterpiece. Although the special effects are visually quite impressive, it’s Ray’s journey which becomes the spotlight of this film. On Blu-ray, the video quality is stunning, thanks to the 1080p that features sharp images, true deep blacks and when the special effects begin, they are quite realistic which helps with the entire notion of escapism. Sound is another highlight of War of the Worlds, especially with its careful use of surround sound thanks to its 5.1 DTS-HD Master audio. One recommendation though, play this movie loud! Specials features don’t take a back seat either and contain some great highlights such as interviews with cast, family and even relatives of H.G. Wells. It's all been put together rather well, even the production diaries that are sometimes quite lethargic. Needless to say, for those who love the movie, you’ll be entrenched with these special features and for first time viewers, they are definitely worth investigating. In conclusion, this modern adaptation of the classic H.G. Wells novel is even darker than his original idea and what begins as just a bad day for one man becomes a total nightmare that truly draws you into the characters and the plot. The special effects are first class as is the transfer to Blu-ray which makes this one of the better sci-fi thrillers of the 21st century, highly recommended!